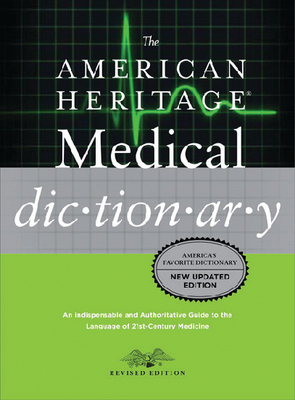 The American Heritage Stedman’s Medical Dictionary is an indispensable reference for anyone interested in modern medicine. Stedman’s Medical Dictionary contains 45,000 authoritative, jargon-free definitions, information on the latest brand-name and generic prescription drugs, and the latest terminology in medical testing, treatment, and technology. 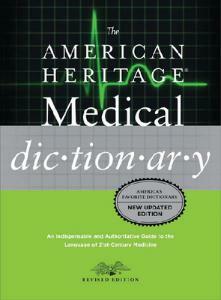 This revised edition of the Stedman’s Medical Dictionary has been completely updated to include the latest tests, diseases, treatments, and medical technology. It includes an abundance of features such as biographical entries, illustrations that provide graphical information to enhance the definitions, and charts and tables to provide a ready reference to the major anatomical systems. Also included is useful information on measurements, metric conversions, dietary guidelines, and more.